Windance Farms offers a varitey of services. Puppies available spring and fall! Please contact us with YOUR needs! We will be having a summer litter (2019) of Maremma Sheepdogs! We also have started and finished adult Maremmas ready to assist you NOW! If you decide you want to purchase a Windance Farm Maremma - we recommend reserving your puppy with a deposit. Please note: All deposits are non-refundable. 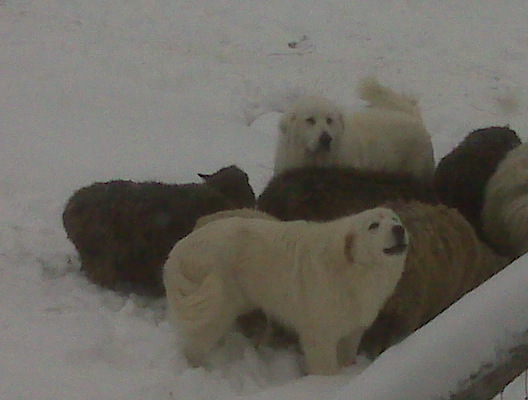 Most times we can tailor your Maremma Sheepdog to your farm needs. This includes, but not limited to sheep, goats, chickens, alpacas, cows and horses. All of our dogs are handled and loved by young children, as this will instill the love of child in the dog for life. 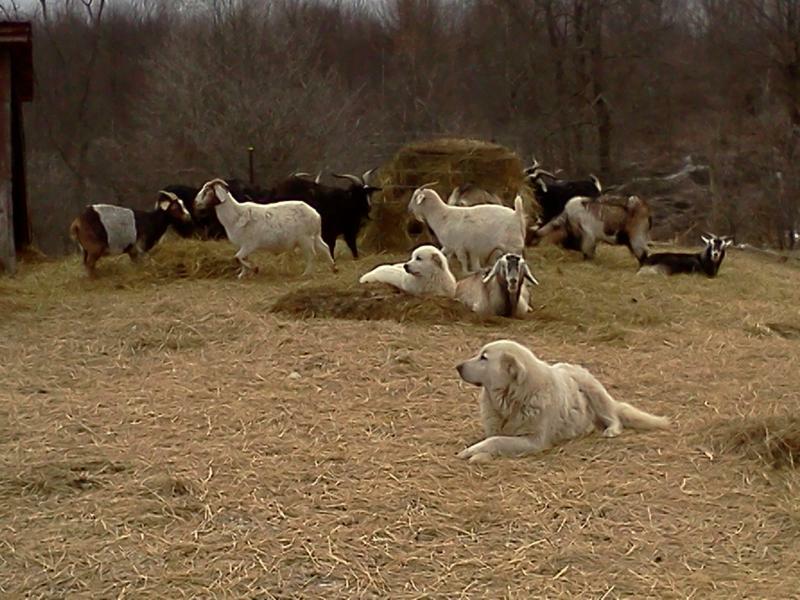 You will know exactly what you are getting when you purchase one of our Maremma Sheepdogs. For example, an exposed dog leaves the farm at 5 months. That dog will have no food issues, knows it place in the family unit, is bonded and working with stock, respects a variety of fences, knows certain basic commands we use here, sterilized, will have all their puppy booster shots including rabies, wormed and pedigree. The buyer will also have my support from that very first day, until you no longer need me. I have the experience and knowledge to answer any and all of your questions. My ultimate goal is for you to have the perfect working partnership with your new livestock guardian. Six week old Maremma puppy on duty. Kaida - coming 3 year old Italian Maremma Sheepdog breeding female. Imported from Italy and perfect in every way. Windance Farms also provides on site consultations for those who want their dogs evaluated in their home setting and for one on one training and handling. Do you have questions on how to start your working dog correctly? Is your dog playing or chasing the stock? Are you thinking of adding a new dog and don't know how? Are you considering adding a rescue and want to know the steps to help the new dog adjust? Do you want to make a companion Maremma a working Maremma Sheepdog? Consulting is available by phone or email. Consulting can be once or set up as needed. You do not need to walk alone, I am there to help, guide and assist. I have the experience and knowledge to answer any and all of your questions. Ultimately, I truly care about you and your dog... to help you have the perfect working relationship between you and your dog. IT CAN BE DONE!! Fresca and Beppe our Italian breeding Maremmas. Do you have a livestock guardian dog that plays with poultry, but you need it to be a poultry guardian? Does your dog play with the stock and you cannot get him to stop? Are you at your wits end? Windance Farms is here to help! We invite your dog to learn and grow here on our farm! We will teach and re-shape him in the way that he should go. Evaluations are available as well. Please contact us for details and prices. This offer is available on a first come, first served basis. Please feel free to contact us to discuss your livestock protection needs. Payment plans are available - as well as good ole fashion bartering! 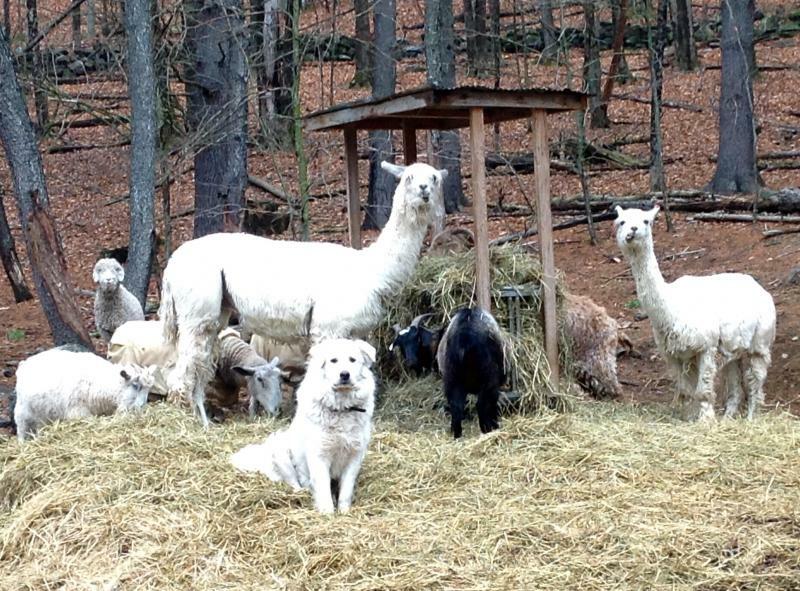 Windance Farms is also active in Maremma Rescue! *** This is Guiness - the male Maremma rescue, who is pictured in the children's book "The ABC's of Dogs - Volume 3" released for purchase December 2015. This children's book is written by Scott Alexander and has only rescue dogs pictured for the different breeds of dogs. Guiness is the Maremma in this book. Guiness was adopted in November 2015 and lives happily with his new family in Vermont. We understand the importance of livestock protection. Protect your investment - Windance Farms Maremmas! Maremma puppy enjoying his breakfast. Look at his size at only a few months old! Our dogs are very large, with many males weighing in at 90 lbs. at six months old. Strong, solid, fearless working guardians..... who love and adore their family. Our ultimate goal is the perfect working partnership between you and your working dog. Let us show you how to have peace of mind and to enjoy your working dog. 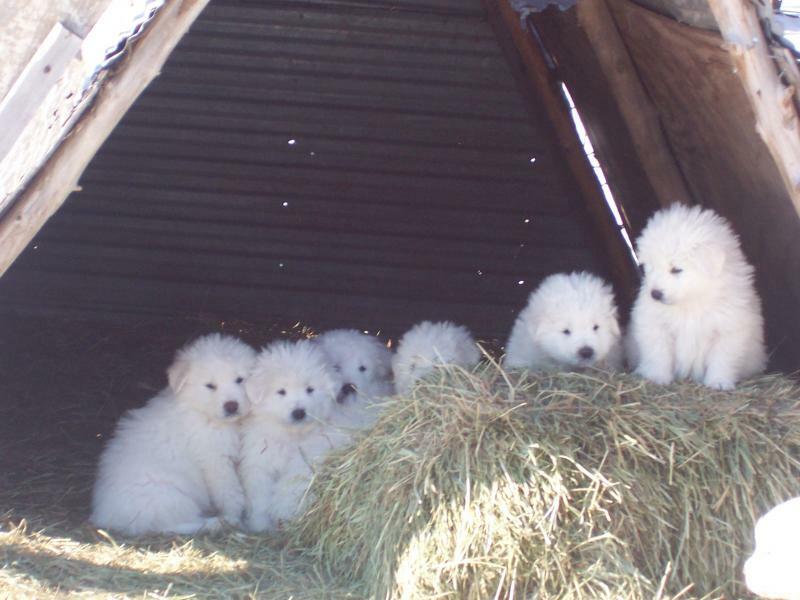 Six week old Maremma Sheepdog puppies enjoying the sun and the hay! A spring and fall litter of Maremma Sheepdog puppies will be available. Please let us know if you would like a puppy, exposed, started or finished working Maremma. Shipping is available or feel free to come to the farm to pick up your puppy or dog.... and why not take a training class to learn more - to learn to continue to have success with your dog - hands on! We may have older Maremma Sheepdogs available at any time, so please contact us if you have any livestock protection needs. We may be able to help you find that perfect dog right at that moment! Just ask! Copyright 2014 Windance Farm. All rights reserved.